Modern-day birds sport a coat of streamlined feathers. But it turns out that their ancient relatives were surprisingly fluffy. Researchers have discovered that the ancient feathers are much “shaggier” than their modern bird relatives. This is according to a new study. It was published in the journal Paleontology. The researchers are from the University of Bristol. It is in the United Kingdom. They compared the well-preserved fossilized feathers of the crow-sized, bird-like dinosaur Anchiornis to those of other dinosaurs and extinct birds. Anchiornis is an early member of the paraves. It is a group that includes true birds as well as feathered dinosaurs. That's according to the university press release. Anchiornis was originally thought to be a bird. It has long fascinated and puzzled researchers due to both its similarities and many differences to modern birds. That's according to Jason Bittel. He reported for National Geographic earlier this year. Researchers found that the feathers covering Anchiornis’ body had short quills with long, independent, flexible barbs sticking out at low angles in two opposing blades. This organization results in an overall forked shape for each feather. It likely produced a surprisingly fluffy and soft texture. The feathers of modern birds are “tightly zipped.” That's according to the press release. This means that the fluffy ancient creatures likely had a more difficult time repelling water. The ancient feathers also appear less aerodynamic. 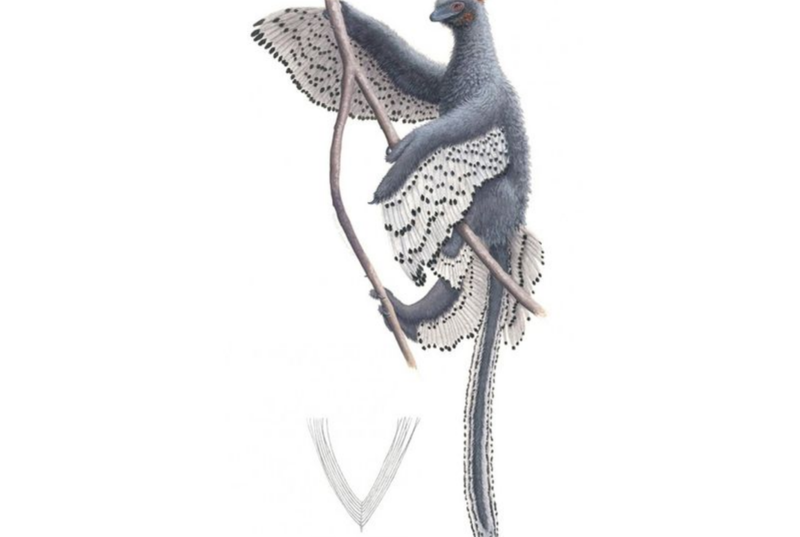 This would have made Anchiornis a less-nimble flyer. But the downy layer likely kept the creatures warm. The four-winged Anchiornis also sported elongated feathers. They were arranged in a fringe across the backs of their limbs and tail. This is an arrangement the researchers believe would make the creatures more effective gliders than fliers. “Overall, it does suggest that truly modern feathers and wings could have evolved later in time. Or, they could have evolved in extinct bird lineages. Those lineages are more closely related to modern birds than we might have expected,” said Evan Saitta. He is a paleontologist at the University of Bristol. He is also author of the new study. That's according to Dan Robitzski of Live Science. The latest study is helping scientists tease through the details of the physiology of early birds. It also explains their behavior. “It’s really exciting to be able to work with the scientists at the forefront of these discoveries. And it's exciting to show others what we believe these fluffy, toothy almost-birds looked like,” said Saitta. The team collaborated with Rebecca Gelernte. She is a a scientific illustrator and graphic designer. She helped the team further visualize the ancient beasts. She helped them to create a life-like image of the animal. Anchiornis’ color patterns were derived from previous fossilized pigment studies. Other previous studies have depicted its wing feathers’ multi-tiered layering. That's according to the university press release. In this case, the creature’s flesh has been recreated by looking closely at the fossil beneath laser fluorescence. This latest study adds to the mounting evidence that many ancient dinosaurs sported coats of feathers. One example is the Velociraptor. It was a fleet-footed dinosaur that was depicted as a sleek lizard in the film Jurassic Park. It actually had feathers, according to a 2007 study of one of the creature’s forearms. The latest find continues to work against the Jurassic Park vision of dinos. IT deepens our understanding about how these creatures looked and functioned. How is the dinosaur similar to today's birds? It makes sense that dinosaurs were feathery and fuzzy, because they were basically birds. T-Rex might have been feathery too! If smaller dinosaurs were fuzzy, why not the bigger ones? I think this is an entertaining yet educational article. I would've never thought that modern day birds would be closely related to a dinosaur! It looks soft, but I don't know why people call it a dinosaur, I would call it a bird. It has the wings has a bird, the face is like a bird. So I really wouldn't call it a dinosaur, but this is a cool creature. Because the only difference is the feathers. i always wanted a pet bird dinosaur but i didn't know they really know they igsist i just stop be leaving in them when i didn't get it for Christmas or my birth day. Birds today and the Anchiornis have similarities and differences. Birds today are less fuzzier than the Anchiornis, but the Anchiornis has a disadvantage less aerodynamic ability. Birds are less fuzzy so they have more aerodynamic ability. In conclusion, the birds today and the Anchiornis are ancestors but different. This dinosaur might be fuzzy but it is still similar to today’s birds.This dinosaur is similar to today’s birds because it has wings,some feathers a beak, and is overall shaped kind of like today’s birds. 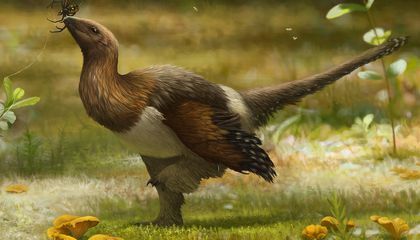 The dinosaur also had feathers like today’s birds and are much more related to them then we previously thought genetically and physically.